Even though teens can't vote until age 18, they want their opinions considered on important topics. Today's teens are interested in issues relating to every aspect of their lives from environmental concerns to privileges like driving. The legal driving age is a hot topic for teens as they reach the age to earn this privilege. Each state sets the legal driving requirements for adolescents. Some states offer limited driver's licenses. This begins with a permit which is often issued at age 15, and the allowed driving time increases with experience and age. Others place limits on the number of passengers a 16-year-old can have in the car as well as institute curfews. Some tie the approval of a driver's license to school performance and the completion of driver's education courses. These differences in driving requirements lead to feelings of unfair policy. Many teens believe driving requirements should be more lenient and fair, but the facts about teens and driving don't support this stance. Teen drivers are three times as likely to be killed in a car crash than older drivers. Speeding, not wearing a seat belt, and not recognizing hazardous situations are among the highest risk factors for teen car accidents. Half of teen car crash deaths happen in the evening and at night. Teenagers today have grown up in a more racially diverse world than their parents or grandparents. Because diversity is their norm, teens don't see or react to race relations in the same way as do adults. People raised in this diverse world had a viewpoint that racism was gone or nearly gone until the racially charged news stories took over in recent years. 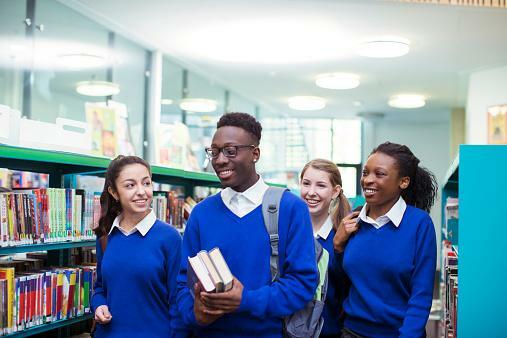 Racial justice, especially relating to equal opportunities in education and employment, is of high interest to teens who come from mixed race backgrounds or have friends who do. Teen opinions on race issues in the United States are strong and less optimistic than in the past. Almost all black teens believe racism will never go away. More than three-quarters of American teenagers see racial discrimination as a problem for their generation. About 70 percent of teens do not feel the United States is not on the right path for the future. In the past, the legal drinking age in many states was 18. However, lawmakers raised that age limit to 21 in every state. Some teens feel the limit should revert to 18 because that is when young people are recognized as adults. For example, at age 18, teens can vote and serve in the military. The argument for raising the legal drinking age to 21 formed to combat the immaturity of younger teens. Today, teens argue that raising the legal drinking age hasn't stopped them from drinking and instead has promoted binge drinking. This debate continues with each generation. Statistics on teen alcohol use show consumption is high among teens. By about ninth grade, one-third of teens have consumed alcohol. More than half of teens have had alcohol by the time they graduate high school. Teens drink more and binge drink more often the older they are in adolescence. The debate over whether people have the right to own guns, who should and shouldn't be able to own them, and how these issues affect everyone never goes away. However, the incidence of related news stories seems more prevalent than in past decades. Specific concerns for teens include access to firearms for suicidal purposes, school and mass shootings and accidental firearm death in the home. Research indicates gun safety and violence affect thousands of children and teens each year. More than 1.5 million kids are living in homes with loaded guns that aren't locked away. Almost 14,000 people under age 19 are injured by gunshots annually. About 90 percent of accidental child gunshot deaths happen inside the child's home. Available resources and future outlook are important issues to youth who care about quality of life. Issues like the availability of clean water, food scarcity, and clean air affect teens because they can impact a child's development and health in the years to come. 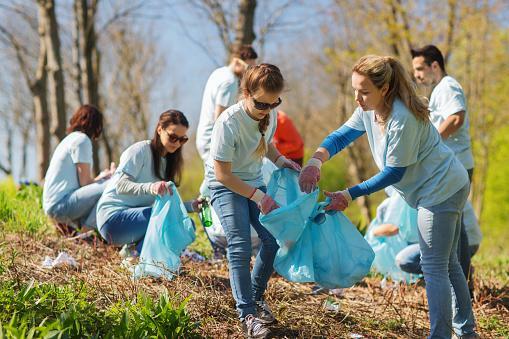 Teens have more information about environmental issues than previous generations because there has been more research in recent decades and information is available in schools. Experts suggest preventable environmental hazards contribute to hundreds of thousands of child deaths every year. Cleaning environmental factors like water and air could have prevented more than 25 percent of child deaths. The biggest environmental hazard to children is air pollution. Exposure to environmental risks at a young age contributes to cancer in children. Twenty-one teenagers and young adults are currently involved in a lawsuit against the federal government for their actions relating to climate change policies. Teens say these poor decisions fail to protect public resources and have stripped younger generations of their right to life and liberty. Should parents be notified and should teens be allowed to choose abortion without a parent's consent? Do both teen mom and teen dad have rights in decision-making? Does abortion hurt a teen girl's development? Teen moms accounted for over 200,000 births in 2015. While teen mom birthrates in the United States are higher than many other countries, instances are at an all-time low in America. Estimates suggest around 700,000 teen girls get pregnant each year with about one-fourth ending in abortion. The age-old struggle of male versus female roles and opportunities carries on with today's youth. Teens express a desire to see equal opportunities for men and women at work and in politics, but not necessarily in household roles. Both boys and girls see a need for gender equality, making this a universal issue. More than half of teens think the ideal family consists of the man working outside the home and the woman taking care of the home and children. The number of teens with this attitude has been on the rise since the early 1990s. About 90 percent of teens think men and women should be equal in the workplace. Young women earn 24 percent less than young men at work. Women account for less than 15 percent of government officials around the world. Adult attitudes on the student loan crisis and a push for free higher education opportunities for low-income kids aren't necessarily echoed by teens. Research on attitudes toward the importance of a college education and the student loan crisis indicate teens still value higher education and don't view student loans as a college deterrent. 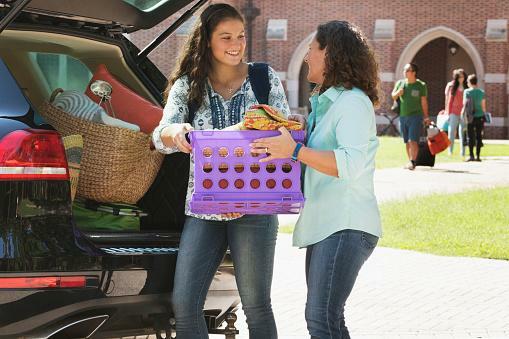 About 90 percent of teens plan to attend college. Around 60 percent of teens suggest they can find a way to afford college without student loans. Only 11 percent of teens believe the government should help individuals struggling with student loan debt. Depression, anxiety, and other mental disorders impact the well-being of children, teens, and adults. Healthcare policies, education standards, and stigmas associated with mental health affect teens who are seeing high rates of mental disorders. 20 percent of adolescents currently have mental disorders which can be diagnosed. Less than half of young people with psychiatric disorders get treatment. The second leading cause of death in people ages 15-24 is suicide. There is a shortage of child mental health professionals in many areas, especially rural parts of the country. The United States political stance on international affairs waxes and wanes with each president with approaches ranging from peaceful communication to hostile action. These policies and viewpoints affect everything from education to quality of life for youth around the world. In the late teen years, adolescents can serve in the U.S. military, will seek out higher education, look for work, and plan for their future. The relationships between the U.S. and other countries can impact the opportunities for teens in all these areas. Over 300,000 U.S. students study abroad each year. Almost half of U.S. companies feel they miss out on international business opportunities because they don't have access to internationally competent employees. Americans are among the least likely in the world to embrace overseas employment, with one exception. More than half of millennials say they'd be willing to relocate for work. Wars in the 21st century have cost Americans over 1.5 trillion dollars and deployed about 2.5 million people. Teens are interested in political issues because they feel empowered to make the world a better place for themselves. The availability of information and influential teenage role models help adolescents learn and do more. 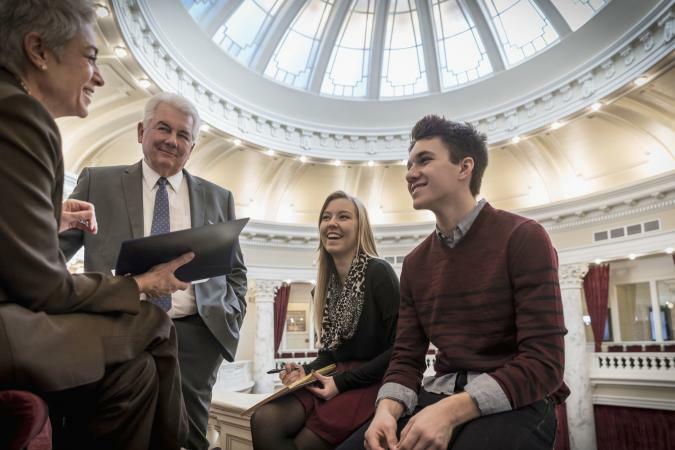 Although they can't vote in elections, teens can influence lawmakers by getting informed and making their voices heard.